Be a babe in the Pocket Style Turtleneck Poncho Sweater from Elapsy. 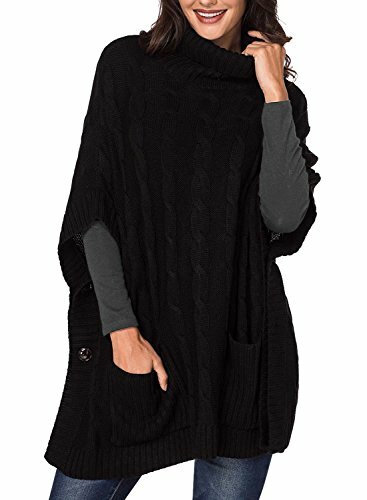 This isn't just any poncho,it's modern women's favorite new new! Decorative cable knit weave and front pockets. The side buttons provide armholes on this layer. Batwing half sleeve,you can wear a long tops inside. If you have any questions about this product by Elapsy, contact us by completing and submitting the form below. If you are looking for a specif part number, please include it with your message.